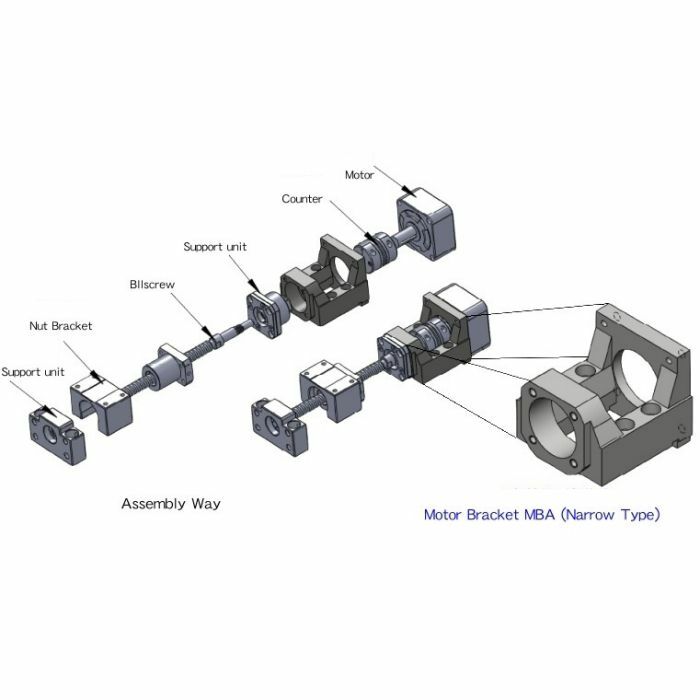 NEMA 34 Motor Bracket (MBA-15F) | DamenCNC B.V.
Motor Bracket made from steel. 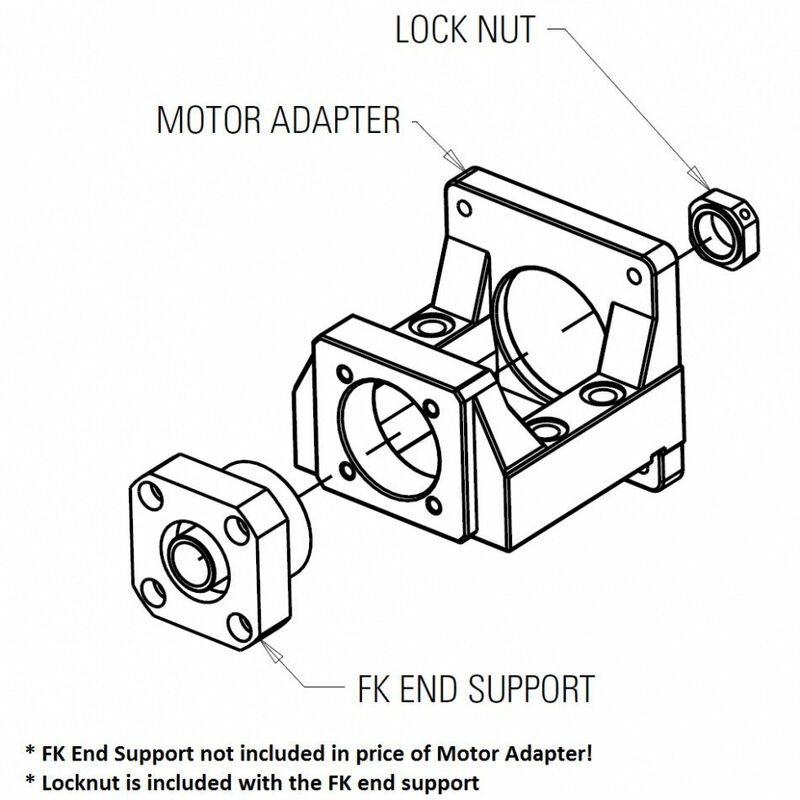 It has a NEMA 34 flange that is compatible with most NEMA 34 StepperMotors or servos. The bracket has datum surface on the bottom, that also has two 6mm dowel pin holes. These can be used to get the perfect alignment when placing back on a machine frame. 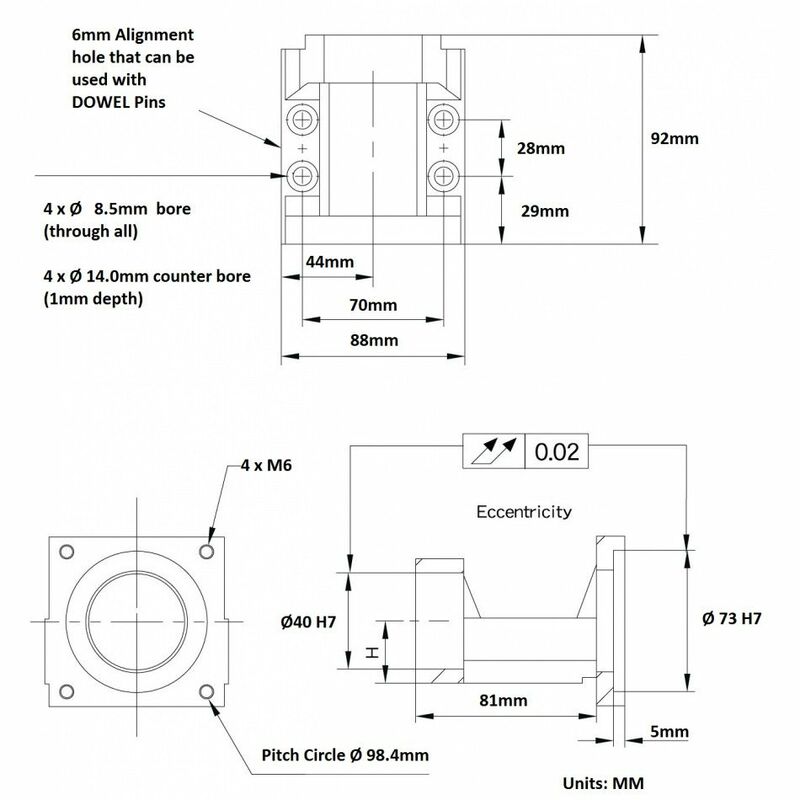 Also the alignment between bearing and flange is within 0,02mm since the machining is done in one operation. 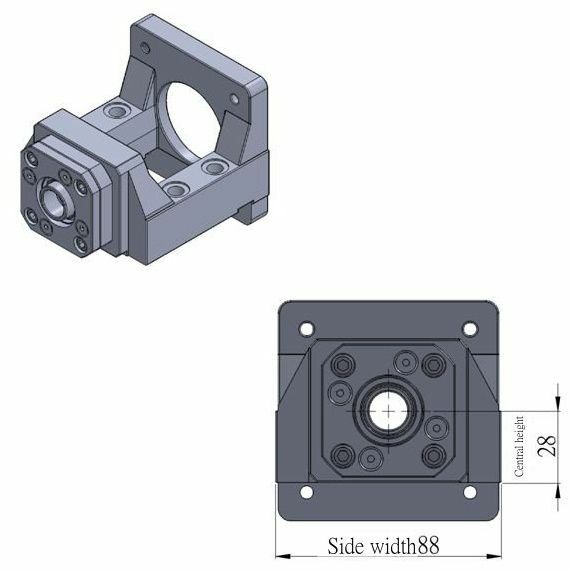 When building a CNC machine or other special machine, this is an interesting part to have, since it saves a lot of time, that is normally spent on making a bracket. 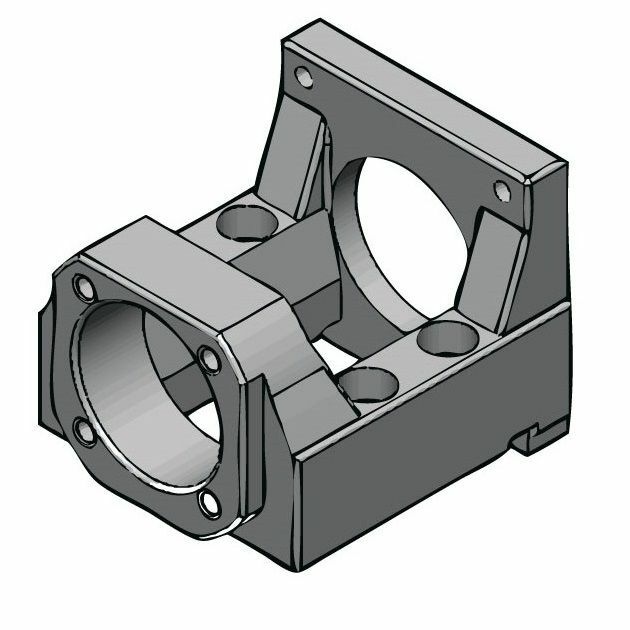 This bearingblock is compatible with the BF15 floating bearing block, (same height from datum surface). Most commonly the bearing block is used in combination with 25mm ballscrews.